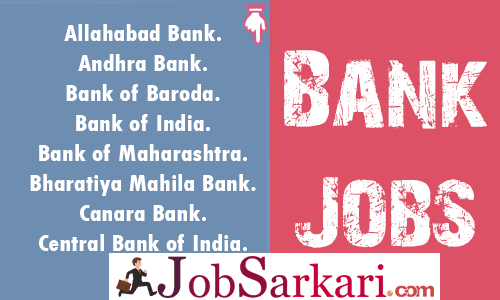 Check Latest Govt Jobs in Bank. Bank Jobs are the most lucrative career options for people looking for a job in government sector. Bank Jobs are also one of the safest and promising jobs in Indian Government Sectors. As banks are opening new branches in remote areas this opportunity has opened new gates for more bank jobs. Coming to the qualification requirement in bank jobs 2019. There are no such specific criteria for applying in the banking sector. A graduation degree in any stream is sufficient to take part in banks recruitment process. The selection process of banks are getting tough day by day people who are preparing for bank jobs should have a good command on Quantitative Aptitude, Reasoning Ability, English, General Awareness, basic computer Knowledge and Interview. The competition to get select in banks is really tough. There are mainly two reasons for this first the shortage of Jobs in India and secondly bank jobs and other government jobs are in much demand as compare the private sector jobs. Check more jobs like Sarkari Naukri , Railway Jobs , Defence Jobs , Teaching Jobs and more.